Death, disease, global panic…but enough about my last birthday party. There are lots of board games out there that tend to sell themselves as grim, dark and serious. From Mansions of Madness to Dark Souls, it is something of a trend to make a game about people either going insane or dying in needlessly brutal or horrific fashions. Needless to say, there are games out there that also focus on positive elements or are lighter in tone, but it seems much easier to find a darker toned game than a lighter one. On that note, we choose to introduce Pandemic Legacy: Season 1. 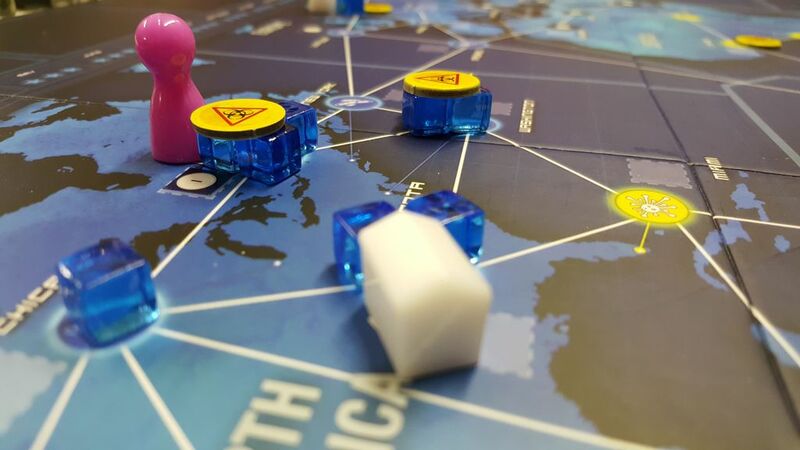 The original Pandemic is a game in which the players take control of a group of medical researchers and doctors who must try their best to cure a raging global pestilence before the world falls into darkness and despair. The legacy version is very much the same except that you play the game across 12 months of a year in which the world permanently changes, and you constantly run the risk of permanently losing your characters if they take too much damage. 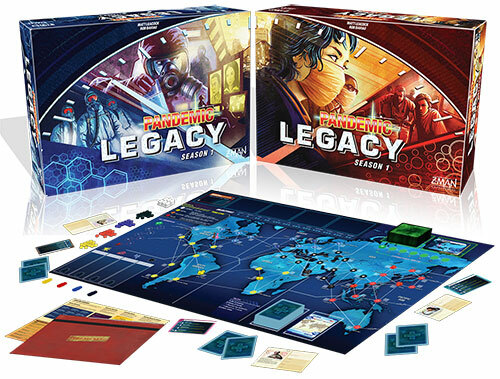 Pandemic Legacy was designed by Rob Deviau and Matt Leacock, with art by Chris Quilliams, and was published by Z-Man Games. The main crux of the gameplay is moving your character around the world, curing disease centres, researching as you go and, in general, trying to stop the world from falling apart. 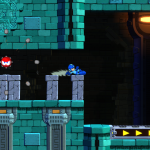 When you start the game, you have 5 characters to choose from, each with their own special abilities, and each character can perform 8 different actions. Thanks to the nature of legacy games, you unlock more characters and new actions as you make your way through the campaign, so things start simply and get more and more complex. To win each month, you have to complete a certain number of missions, starting with only 1 mission in January and February but increasing to 2, 3 or 4 as the months draw on. At first, you really only have to worry about curing as many of the diseases as possible each game, but eventually, your goals become more diverse. 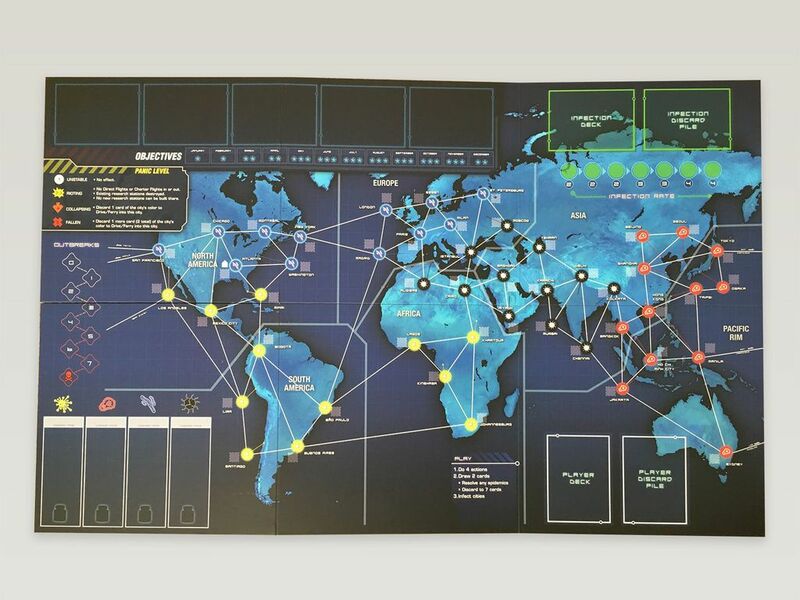 By the third and fourth game, you have to build the right number of structures or completely eradicate a disease before you can claim victory. Pandemic Legacy works very well for beginners, especially beginners who’ve already played the regular version of Pandemic. The game starts out very, very simply, both in its goals and mechanics. 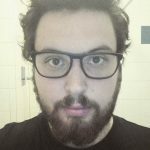 Then, as you start to get a handle on things, it carefully spider-webs outwards, almost like a tech-tree with carefully planned branches getting more and more options to choose from. Having said that, there is a slight issue for those who’ve never tried the base game before, because trying to figure out the regular rules before trying to play the legacy game (which the game recommends) is a bit of a whopper. Unfortunately, the confusion in the rulebook doesn’t end there. While it’s already a problem trying to pick out the rules you’re supposed to follow from the rules you’re supposed to ignore while learning the base game, it doesn’t get much easier when trying to perform game set-up in the right order either. On the setup list, for some reason, numbers 1 to 3 are on one page, number 4 is on another, then 5 to 7 are back on the first page again, and 8 to 10 go back to the second page. The effect of this, other than utterly baffling the players, is that you often end up doing the steps out of order. Honestly, as much as this instruction booklet thing is annoying, it’s not a major issue. The book itself even tells you not to worry too much about little mistakes, and that advice is good to remember. Once you’ve got the basic gist of the game, you don’t need to worry too much about trying to get every little thing right. The game sets out what to do if you’ve made a certain month too easy or hard in the end, and anything else can pretty easily be worked around. The legacy elements in Pandemic Legacy come in a somewhat similar form to the elements in Charterstone, if somewhat less surprisingly. 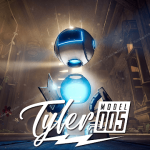 You have a dossier filled with things like rules and other stickers you use to modify your board, characters or rulebook, and you have several different boxes that are filled with larger components like tokens and buildings. One of the most interesting elements, and possibly the hardest for a collector, is that you have to rip up certain cards as you go, permanently destroying them. So as you continue to progress, the face of the world changes forever. 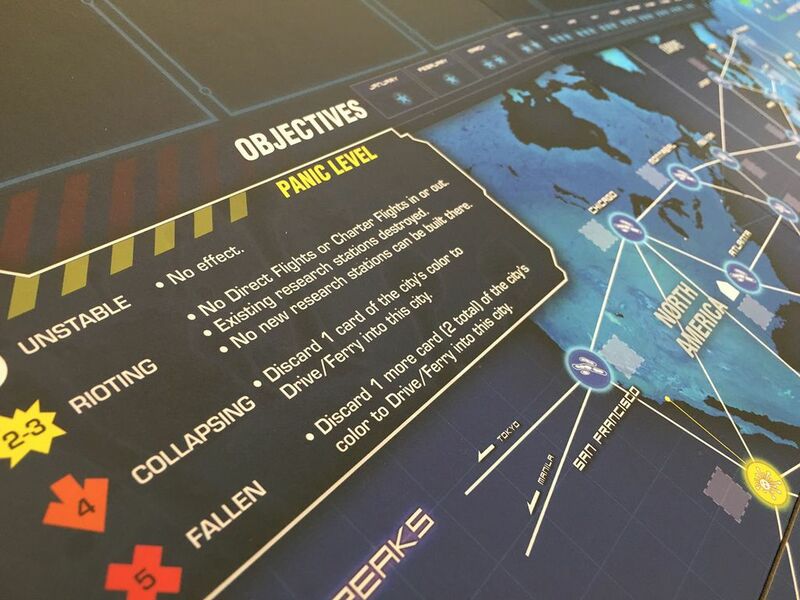 When trying to complete your missions in Pandemic Legacy, you have a few actions you can take to save the world, excluding those you gain as time goes by. You can travel the world via various means, such as charting planes to specific countries, travelling between neighbouring cities or shuttling between your research stations. You can also cure the different diseases that have infested the world, represented by different coloured cubes placed on the major population centres. Each turn you collect player cards that represent different cities and the different diseases that have infested the world. You can then use these cards to either pay for more efficient travel or to cure the diseases that are assailing the planet. You also have to draw new cards that show you what area on the map has been infected next. As you go through turns, the map gets filled with more and more cubes, and cities around the globe begin to fall into chaos. There is a certain ramping of difficulty that comes with the stepping up in complexity. You may find that the later stages become harder and harder to pull off. Luckily, if you fail a month, you do get the chance to try again, but just the one before it’s game over completely. There is also some difficulty adjusting that occurs if you find the game too easy or too hard. Every time you succeed in a mission, your funding decreases, and each failure makes it increase. Your funding changes the number of bonus cards that you add to the hero deck, usually filling it with bonuses like removing disease cubes from anywhere on the board or increasing the number of actions you can take from 4 to 5. The bonuses do help out a fair amount, but they don’t make the game far too easy or far too hard. On that note, the game is definitely a challenge. You’ll probably struggle to finish it without having to retry, but there is very little luck to the game due to the way the infect deck works. Because the infect deck infects specific cities at a time, and a city’s card is discarded each time an infection occurs there, you can be sure that the same city isn’t going to get constantly assaulted by disease, at least not unless you pull many epidemic cards out of the hero deck in one go. 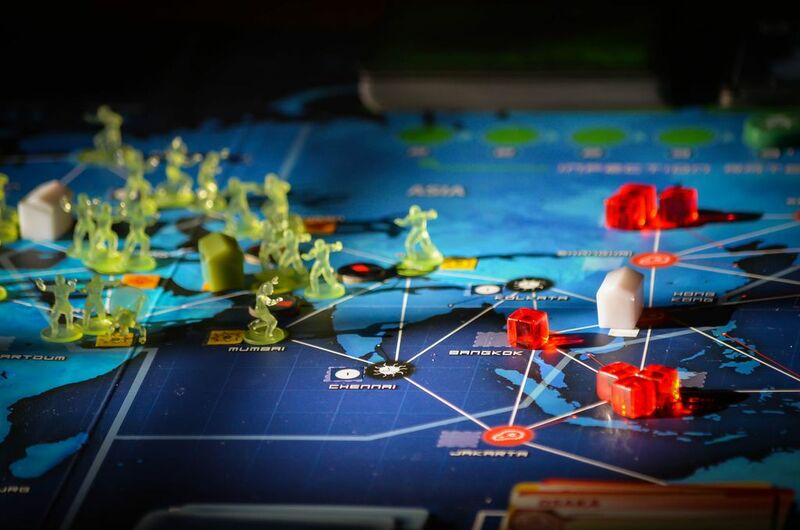 The truth of the matter is that Pandemic Legacy is insanely popular and successful, and the reason why is that the game hinges almost entirely on careful planning and good decision making. If you’ve chosen a character whose abilities you know well and you move around the board with thought and practise, then you will almost always succeed. Even when the game gets more complex, you retain control over your success or failure, using the new elements to control the harsher objectives instead of adding more and more problems for the player to try and wrap their heads around. All-in-all, Pandemic Legacy is insanely well paced. You’re never given more than you can handle. In stark contrast to games like Dark Souls: The Board Game, you know it’s all your own fault when you lose (or more likely, it’s that git Vegan Steve’s fault. DAMN YOU, VEGAN STEVE). There is a reason why this game has held one of the highest spots in many top 10 board game lists, and it only takes a few games to figure out why. 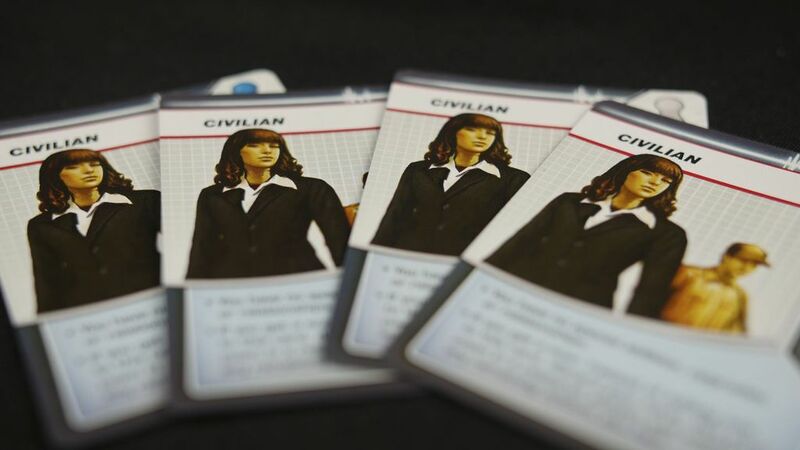 That all said, there are a few problems with Pandemic Legacy, at least from a print quality standpoint. The artwork is well printed on all of the cards and pieces, but there appears to have been some machining or design errors. The board is so insanely stiff that you have to leave heavy books on it for a good 20 minutes before you actually get to play it, unless you want all of the disease cubes and tokens falling into the middle. There was also some slight damage to one of the blind boxes, which means that you could kind of see inside; that was a bit of a shame. Regardless of these issues, the game is an insane amount of fun, and the issues are only slight niggles. 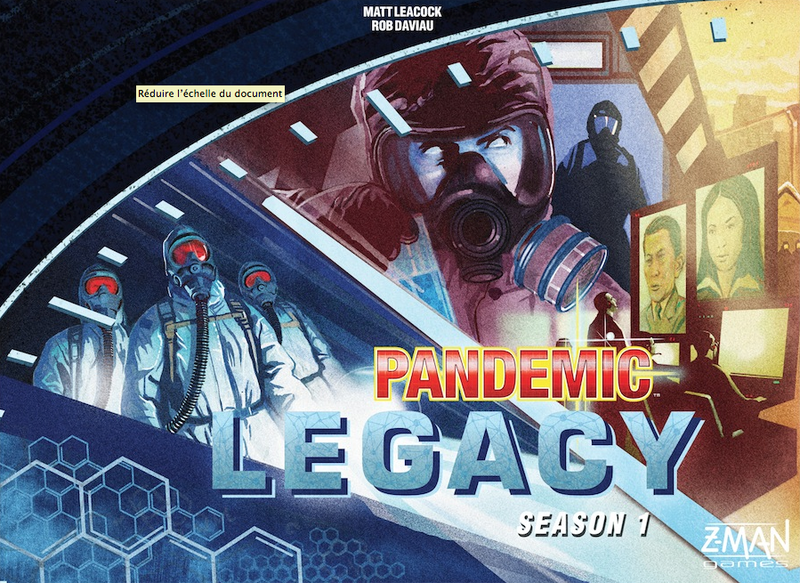 Pandemic Legacy: Season 1 is an excellent example of legacy gaming and an excellent game in its own right. Despite some minor issues with the rulebook and the construction of the pieces, the game is a lot of fun and has its fair amount of tense moments. While the game starts out simple enough that you'll possibly wonder why everyone raves about it, it doesn't take too long before you're in so deep that the potential death of one of your characters fills you with anxiety. There is a reason this game hits the top of the 'best board games' lists. For more games like Pandemic Legacy, visit Asmodee or find your nearest games store.